LOWEST PRICE PER SQFT NEW CONSTRUCTION LISTING IN CENTRAL PINELLAS COUNTY! 10-YEAR TRANSFERRABLE BUILDER WARRANTY! 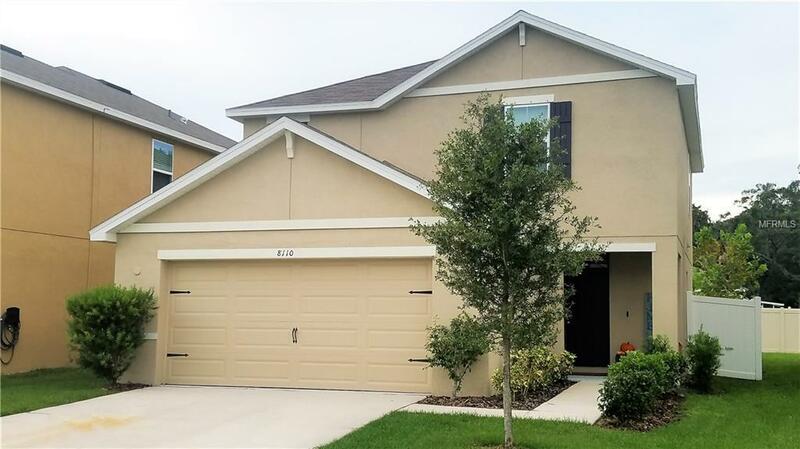 This contemporary 3-Bedroom, 2-1/2 Bathroom single family home is located in a well maintained gated community! As you walk into this two-story open floor plan you will find a large open concept great room which features a well-appointed kitchen, living room, dining room, and half bathroom plus a screened in patio and fully fenced backyard for outdoor entertaining with privacy. The kitchen features granite counters with a large center island, a pantry, and plenty of cabinets. The two-car garage conveniently leads into the kitchen with closets on both sides of the hallway for plenty of storage. Upstairs, the large en-suite master bedroom can easily fit a king size bed and includes a walk-in closet. Two other bedrooms share a second bathroom with double sinks. The laundry room is located upstairs and comes equipped with energy efficient washer and dryer. This fully gated community of 41 new homes is centrally located in a family-friendly city which boasts parks, recreation centers, a pool, dog parks, and equestrian trails. Plus, a vibrant art community, a performing arts center and a medical district. Just three miles to the interstate and less than 2 miles to the Shoppes of Park Place with a movie theater and plenty of dining options or 5 miles to the all new Seminole City Center with an in-theater dining movie theater, many dining options, and natural food market. Great central location!! !